Teaching fact and fiction has never been more amusing and meaningful! In this activity, the children learn the difference between the two and learn lots of fun facts (and fibs!) about their classmates. Students write down two facts and one fib about themselves and then share this information with the class. Then, the class tries to figure out which of the 3 statements is the fib. How much fun is that? If you are interested in purchasing this activity, please click the picture below. Thanks, Emily! You have mail! I don't have a teaching blog to post this on quite yet..although that is my next goal! Aww sad, just missed it! lol Looks great! Thanks so much, Becky! You have mail! Deb, I'm so glad you are posting! And thanks so very much for commenting about my activity. That is very kind of you! ;) I notice you have hit 200 followers! Yeah for you! I love it! Not only did I get it for free because I am a blog stalker... lol but I plan on using it Monday! I love the idea of using this for partner work and creating tally marks to see how many people in the class can guess your answer. So much fun! My class will love trying to trick their friends. Thanks, Becky! It's so much fun to read these! Enjoy! My kiddos love 3 facts and a fib! Do you know about Don't Break the Bank? Does Your Story Answer These Questions? 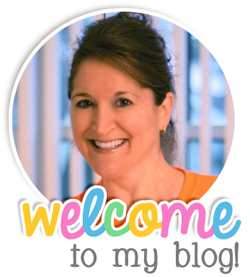 Your students can blog, too!